Cathedral Ridge prides itself in providing outstanding meals and hospitality. Meals at Cathedral Ridge are an opportunity for guests to eat great food that nourishes body and soul, while enjoying table fellowship. We serve nutritious, healthy meals that are conscious of resources and our local environment. 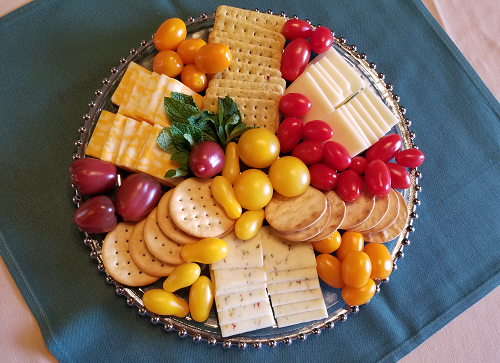 Our dining staff’s ministry is to prepare fresh, simple, well-balanced meals, specializing in country-style comfort food and of course, our famous Cathedral Ridge cookies! 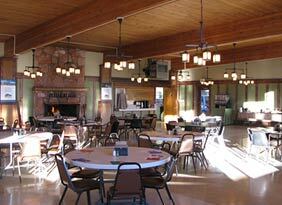 The newly renovated dining hall comfortably accommodates 110 people. Meals are served family style or buffet style depending on group size and preferences. Please note that during low season (December-February), full meal service at the dining hall may not be available on all days. Ask our reservation specialist for more information, including alternative meal options. *Youth are young people ages 4-17. There is no charge for children 0-3. Friday’s dinner can be moved to 7:00 pm to accommodate late arrivals. In general, if no other groups are sharing the dining hall, we are happy to move your meal time thirty minutes before or after the traditional time. Cathedral Ridge strives to accommodate the dietary preferences and needs of its visitors by offering a variety of choices. If you require vegetarian, vegan, or gluten-free meals, or have specific dietary needs or allergies, please let us know so we can ensure that your dietary requirements are met during your stay. All of our meals are served with an assortment of beverages. All entrées served with fresh vegetables in season, appropriate side dishes, and a full salad bar. In addition to three regularly scheduled meals, we offer morning and afternoon snacks for our visitors. A variety of hors d’oeuvres are available for receptions. Download our Snack and Hors d’Oeuvre Menu here. Explore all that the Center has to offer! Check out our lodging options, our flexible meeting room setup, and the abundance of indoor and outdoor activities. We look forward to working with you to plan your event.